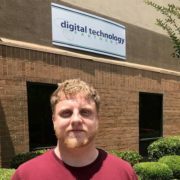 This week’s featured employee is Dylan Martin, DTP’s Software Developer. 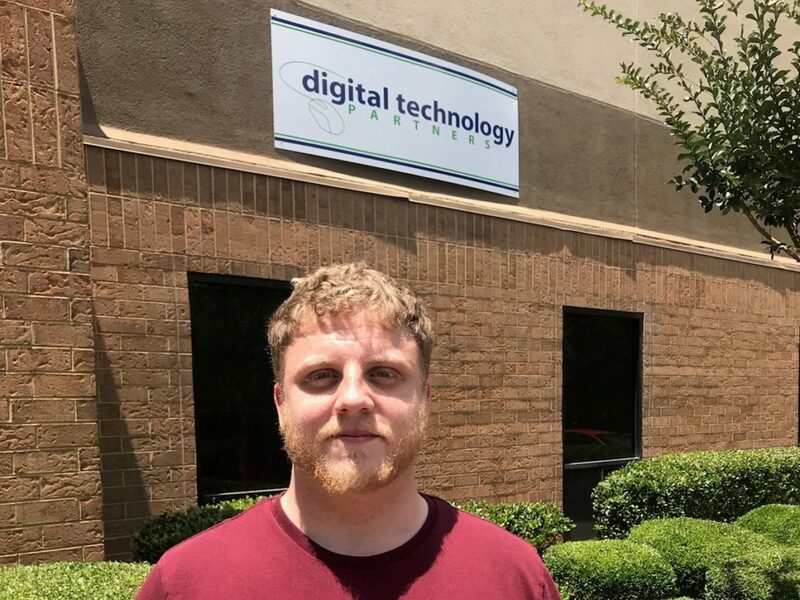 Dylan has been with Digital Technology Partners for 8 months, and he plays a key role in the design, programming, implementation, and maintenance of our in-house software systems. Learn more about Dylan below. What is your favorite sporting or outdoors event? I like certain aspects of racing and things like the X Games—people pushing their limits and performing under pressure. I’ll flip a golf cart if I have the opportunity. What is your favorite part of working at Digital Technology Partners? I get to challenge myself to learn new things. If you were stuck on an island, what item would you bring with you? What is your favorite artist or genre of music? I’m not going to attempt to accurately rank everything but lately I’ve been enjoying Gorgoroth, specifically Radix Malorum. A Higher Loyalty and Factfulness. I started Behave by Robert Sapolsky but I haven’t gotten around to finishing it. What’s something you could give a 30-minute presentation on with absolutely no preparation? Once when I was around 12 years old, I stayed up playing an old RTS computer game. There was a VCR that I turned on to provide some ambiance. When I got to the end of the tape I would rewind it and start it again. I probably watched “Down to Earth” with Chris Rock at least 10 times in one sitting. Check back next week to meet another member of the team!